A family of ancient instruments still in use today that is made of a sack or bellows which holds air, several pipes, and a double-reeded, fingered pipe called a "chanter". The unfingered pipes are called drones and produce pedal tones. The bagpipe makes a constant, unbroken sound as the air stored in the sack is constantly being supplied to the pipes. 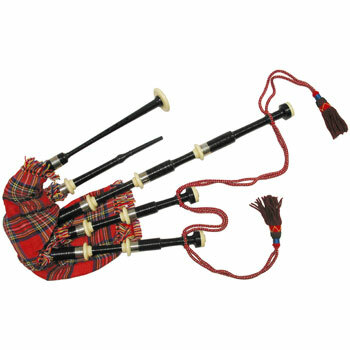 The most famous bagpipes are those of Scotland and Ireland.